Israel has done amazing things with their imported U.S. fighter aircraft, innovating and tailoring their capabilities to meet their unique needs. They want to continue this legacy with the F-35. Part of this initiative now includes the ability to externally modify their new stealth jets with the addition of conformal fuel tanks. Conformal fuel tanks give a fighter jet more fuel load with minimal performance penalties and do not occupy precious weapon stations and induce large amounts of drag like traditional drop tanks do. When combined with drops tanks, a conformal fuel tank-equipped fighter’s range can be massively increased. Currently, the Israeli Air Force flies the majority of their F-15 fleet as well as their F-16I fleet with conformal fuel tanks as well as drop tanks. Why Don&apos;t The Newest US Air Force F-16s Use These High-Tech Fuel Tanks? A combat aircraft’s range is a huge deal for any nation, but for Israel, whose primary enemy remains Iran, it is a grave concern. Targets in that country can reach 1,700 miles from Israeli borders. The IAF has also struck sites near the Horn of Africa and as far away as Tunisia in the past. They see their global reach as a pillar of deterrence against would-be aggressors, so their ability to reach out and strike over great distances reliably needs to be credible. Israel’s relatively small but slowly growing fleet of tankers helps extend the range of their fighter aircraft, but still a jet is limited by its own combat radius once it leaves the tanker’s boom or basket. Additionally, each tanker is limited to how much fuel it can pass over a certain distance. Why Are Jordanian F-16s Suckling Gas From Israeli Tankers On Way To U.S.? With all this in mind, Israel has stated that in addition to having access to certain areas of the F-35's software and mission computer hardware, communications systems, weapons carriage capability, electronic countermeasures and surveillance suite, they also want to mount conformal fuel tanks to its skin. It is not clear exactly what such an apparatus would look like, or how it would impact the F-35's low radar signature and already somewhat paltry kinematics. There is also the question of airframe fatigue induced by mounting thousands of pounds of gas where it was never intended to be placed. Still, the IAF’s lust for extended range will likely trump these concerns. Traditionally conformal tanks can be added and removed with relative ease, so having the option to mount them at the cost of increased radar cross-section is an enticing arrow for Israel to have on its quiver. For standoff attacks, where an F-35 would launch a guided weapon many dozens of miles from its intended target, increased detectability may be of little concern. Israel already has confirmed it will integrate the SPICE 1000 glide bomb with its F-35s, which will allow for such stand-off attack profiles. Larger and longer-ranged wing-mounted missiles are also another option at the sacrifice of much greater radar signature degradation. Israel’s push for operational and developmental independence with its F-35I fleet also includes the wish to indigenously service and sustain the aircraft throughout its lifetime. The country wants to execute much of the aircraft’s heavy maintenance themselves, a controversial proposition that is still in negotiation due to the highly classified nature of the aircraft’s internal systems. Basically, being able to crack the jet open gives away much of its magic and also introduces high technological transfer risk. 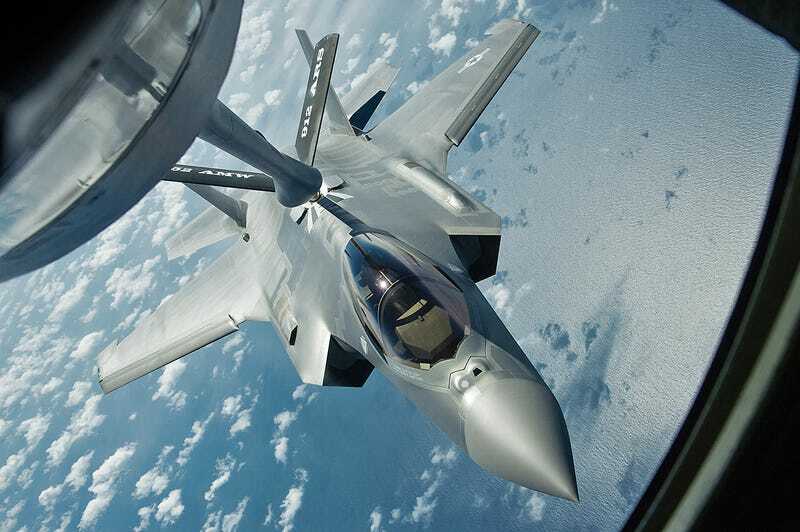 The ability to operate the F-35 confidently without ALIS, which executes everything from parts ordering to mission planning, also would give Israel a hedge against cyber attacks which could cripple the system, potentially even on a global level. Israel knows full well the threat of such attacks, and grounding their premier weapon system worth many billions of dollars because of such an event should be highly concerning. Hopefully a similar protocol, if they are allowed to develop one, can be copied by other nations operating the F-35, including the US. It will be interesting to see Israel’s F-35 evolve uniquely in the coming years. As of now 33 F-35's are on order for the IAF, and Israel is approved to receive up to 75 of the stealth fighters, although that number could grow depending on who is sitting in the Oval Office come next January. The F-35I’s initial operating capability is slated for 2017, although this now seems like an optimistic date.